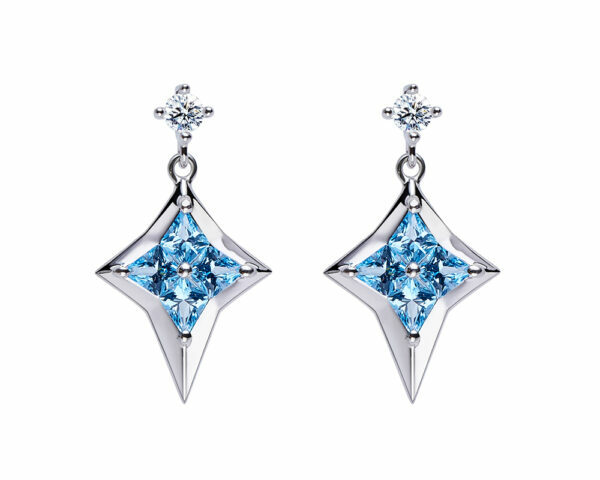 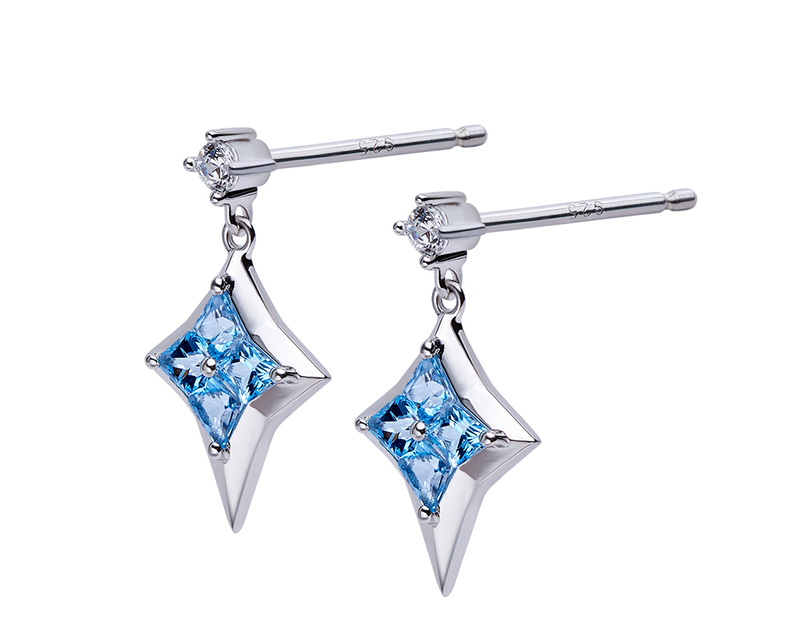 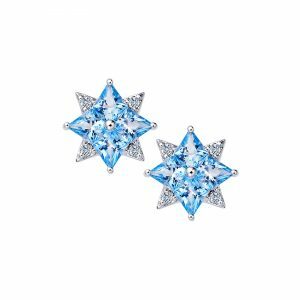 Star of Love earrings set with custom Swarovski ‘kite cut’ blue topaz and cubic zirconia, set in rhodium plate on sterling silver. 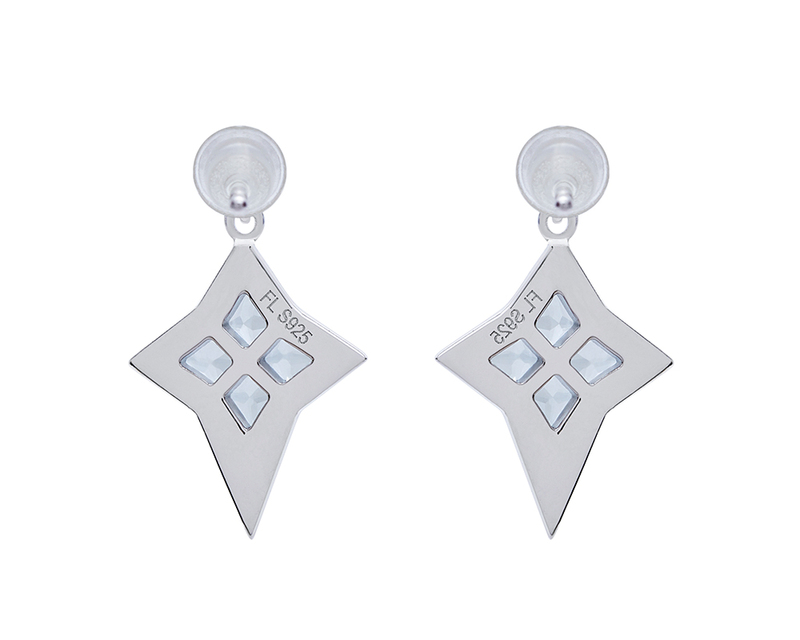 The Star of Love series is inspired by the Polaris – the brightest star of the constellation of Ursa Minor. 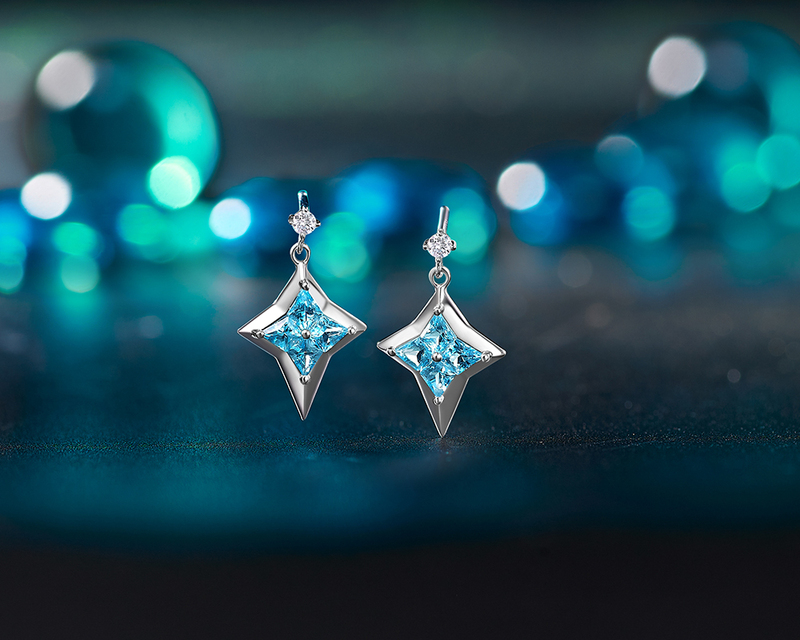 It is not only a symbol of love, but also signifies the blessing and expectation of love. 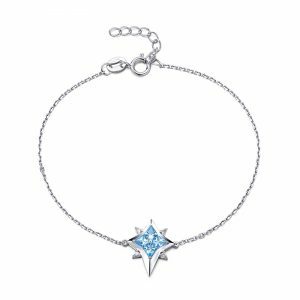 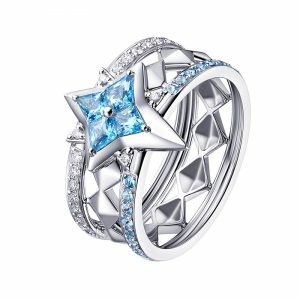 The Star of Love series features the birthstone of November, the natural topaz, which is a symbol of bravery and freedom. 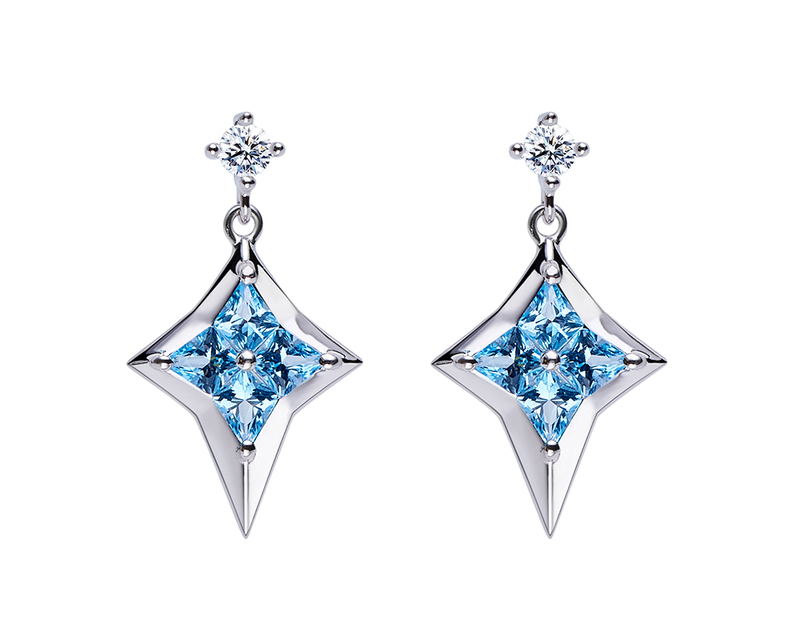 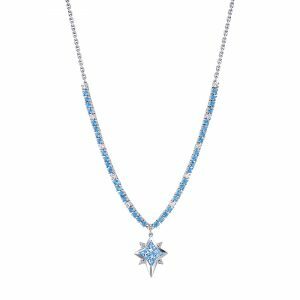 For this series, Swarovski specially hand cut individual topaz into a custom kite cut, four of which have been skilfully inset into each piece to represent the Polaris.